The management of Isuzu Bacolod released an official statement apologizing to the customer-chef who was allegedly ignored by their sales team. "We are very sorry about the unpleasant experience expressed by Mr. Reinhard Celis in our company, Isuzu Bacolod last June 29, 2015," wrote Bing Uy, Jr., president/general manager of Southern Auto Mart and Trading Corp., authorized dealer of Isuzu Philippines Corp. for Negros Island. 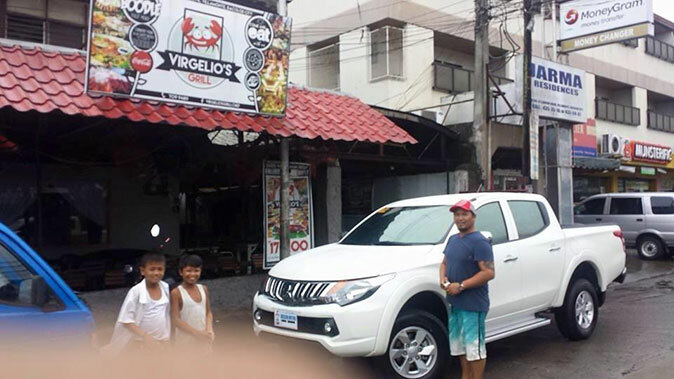 Celis, chef and restaurant owner of Virgelio's Grill, went to the company's showroom that day with an intention to buy an Isuzu DMAX 4x4. In his Facebook post on July 2, he narrated that Isuzu Bacolod passed him from one staff to another. The front desk in-charge also gave him a "nonsense" answer when he asked for the vehicle's price. These prompted the businessman to ask the security guard if it was usual for the staff not to "entertain people [who are] just wearing simple dress and slipper." When he came home, Celis said he called his bank to order a Mitsubishi Strada pickup truck, which was delivered to him in two hours. 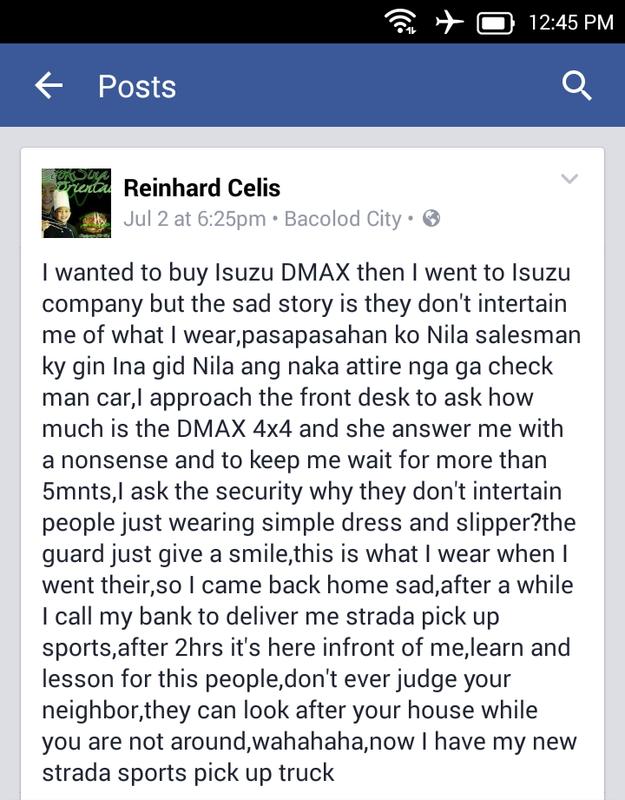 He ended his status message by saying that Isuzu Bacolod personnel must have learned a lesson not to judge anyone by their appearance. In its official statement, the car dealer admitted a lapse on their part. "We have talked with the persons involved to get their side and have reviewed [the] CCTV footage during the visit of Mr. Celis, and we have established that Mr. Celis was first mis-directed to our Parts and Accessories Department, and was directed back to Sales, wherein he had a couple minutes wait before he was attended to by our Sales Executive, Ms. Tina Montero and Mr. Elmo Genosa for about 20 minutes," Uy explained. "Mr. Genosa also brought him to our motorpool area to show him some units. On his way out of our showroom, Mr. Celis talked to our guard, to whom he commented about not being properly attended to," he stated. Celis' Facebook post went viral after news blogs published his story. After which, many netizens criticised the company's personnel and condemned what they called "discriminatory" act towards a customer. 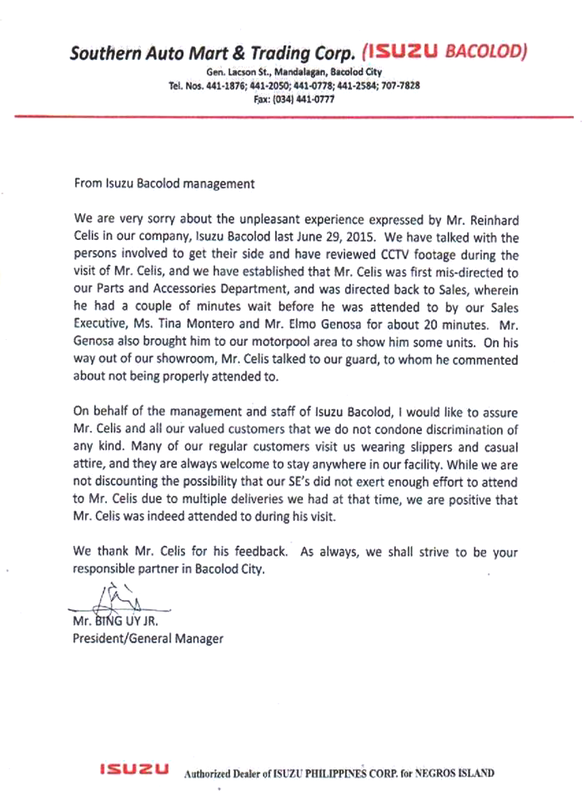 "On behalf of the management and staff of Isuzu Bacolod, I would like to assure Mr. Celis and all our valued customers that we do not condone discrimination of any kind," Uy said. "Many of our customers visit is wearing slippers and casual attire, and they are always welcome to stay anywhere in our facility." "While we are not discounting the possibility that our SE's did not exert enough effort to attend to Mr. Celis due to multiple deliveries we had at that time, we are positive that Mr. Celis was indeed attended to during his visit," he added. 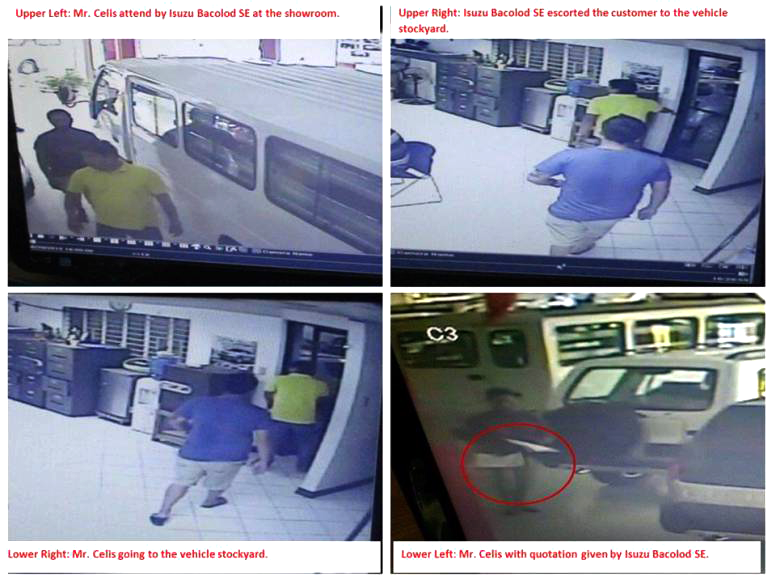 Isuzu Bacolod also released snapshots of the CCTV footage showing Celis together with a staff.